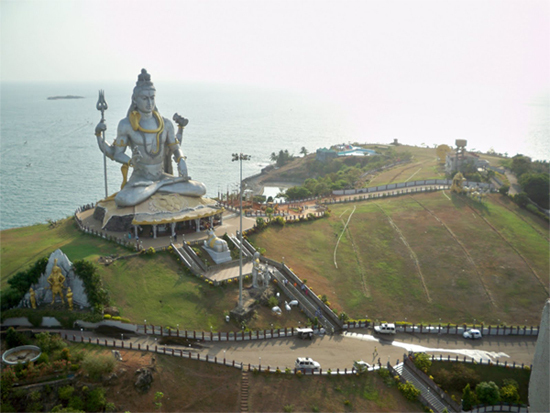 It is a small beach town in Karnataka on the coast of Arabian Sea; it is famous for the world's tallest statue of Lord Shiva of 37m high the temple is known for its energetic picturesque beauty, and also it comprises of beautiful temple of Lord Murudeshwar. It is well connected by road, rail, and air nearest airport is Mangalore airport, can also be reached by Goa or Konkan, this beautiful place is visited all over the year. Tipu sultan built a fort known as Murudeshwar fort; it is a tourist attraction place offering splendid water activities keeping safety measures at top level.